Washington: The Federal Bureau of Investigation (FBI) has contacted the second victim, Deborah Ramirez who has accused Supreme Court Judge Nominee Brett Kavanaugh of sexual assault. Ramirez had accused Kavanaugh of exposing himself to her at a Yale college party in the 1980s. On Friday, United States President Donald Trump ordered the FBI to conduct a supplemental investigation into Kavanaugh over Christine Blasey Ford’s sexual assault allegation. Trump also conveyed his confidence in the FBI investigation claiming that it might be a “blessing in disguise”. “The FBI I believe is doing a really great job. They have been all over already. They have free rein. They’re going to do whatever they have to do, whatever it is they do. They’ll be doing things that we’ve never even thought of, and hopefully at the conclusion, everything will be fine,” he added. The investigation was requested by Republican Party Senator Jeff Flake of Arizona, who supported Kavanaugh on a condition that the nomination of the judge will be delayed and an FBI investigation will be ordered to probe the case. He, however, insisted that the delay should not be more than a week. Ford, a professor at Palo Alto University in California, had alleged that Kavanaugh had assaulted her during a party in the 1980s when they were both in high school. She had accused Kavanaugh of groping her and attempting to remove her clothes. 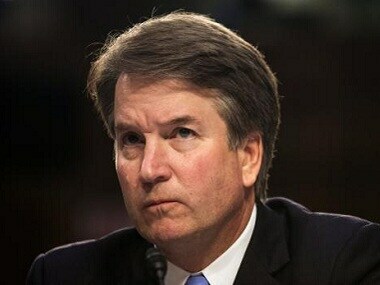 Kavanaugh, however, denied all the allegations during the testimony, saying that his reputation and that of his family has been “totally and permanently destroyed”.